The Phantom Reactor, a new breed of wireless speaker. By stretching size and performance beyond reasonable limits, Devialet engineers have brought to life the only ultra-compact home sound system capable of delivering high fidelity and physical impact, whatever volume you listen at. Insanely powerful. Defiantly small. You won’t know what hits you. Devialet Phantom Reactor is an ultra-compact Naim Mu-so rival that sounds and looks incredibleDevialet today unveils the Phantom Reactor, an elegant, ultra-compact Bluetooth speaker that packs in the same award-winning tech as used in the original Devialet Phantom despite being just one quarter the size. Devialet shrinks its Phantom speaker but keeps signature sci-fi design intactDevialet has announced a new compact version of its eye-catching Phantom speaker. Called the Phantom Reactor, the new model is just a quarter of the size of the previous Phantom, but it attempts to preserve much of the pricey original's appeal. Devialet's Phantom Reactor is a mini but mighty high-end speakerThe company behind the Sky Soundbox and the awesome Phantom hi-fi system has announced a new mini version of its audiophile-grade home speaker, the Phantom Reactor. Devialet's compact speaker, the result of three years of research and development, comes in two guises: Phantom Reactor 600 and Phantom Reactor 900. Would you recommend Phantom Reactor to a friend? So it's a tiny... Phantom! 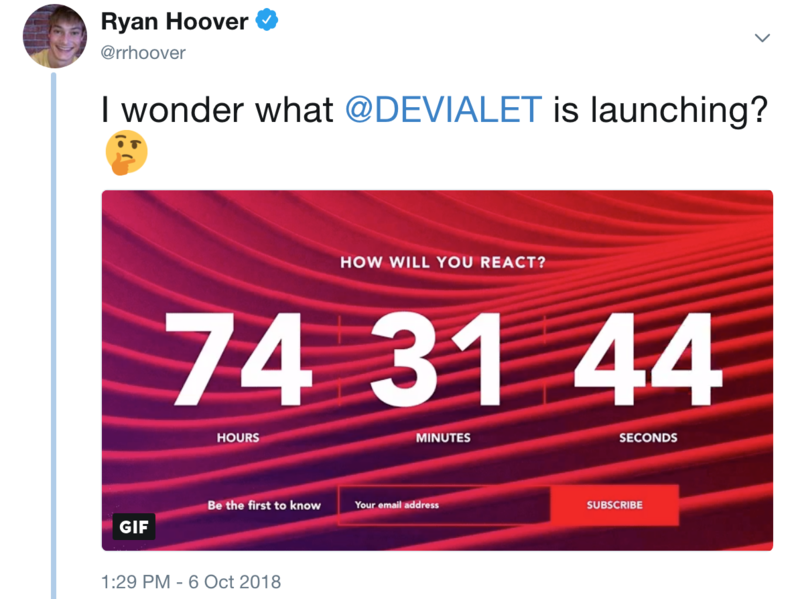 I was wondering what Devialet was up to! A few days ago I tweeted: I have a Devialet Phantom Gold, which is nearly 4x more expensive than this new $999 model (I didn't buy my Phantom before someone judges me too much 😆). What I love about the Phantom is the portability. I've taken it on trips, although this new model is clearly much better suited for suitcase travel. Multidirectional wireless audio system for your home.